Fragments of pottery found in the Botolph Street area may indicate a small Roman farmstead was situated here between parallel north-south Roman roads roughly along the lines of present-day Oak Street and Magdalen Street. Other Romano-British finds from the area include a copper oil lamp unearthed near St Augustine's Gate in the mid-18th century, a Roman coin found near Sovereign House in Anglia Square and further fragments of pottery in St Augustine's' Street. A Roman coin of this period was found during an exploratory archaeological dig near Anglia Square in 2010. At this period a pre-Christian Saxon cemetery was in use on high ground near present-day Eade Road off Aylsham Road, possibly indicating an established Saxon settlement in the area at this period. Cremation urns and grave goods, including an ornate brooch, were discovered here in 1898 by workmen digging drains. Fragments of pottery of the Middle Saxon period are found in grave fill during exploratory archeaological excavations in the Anglia Square area in 2010. 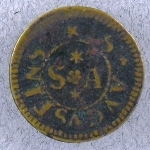 The name Northwic (‘North Wick’ - from which Norwich derives its name) first appears on coins of the Saxon king Aethelstan I, indicating they may have been minted in a settlement north of the principal Saxon settlement of Conesford ('King’s Ford'). The present-day St Augustine's and Anglia Square areas are still largely unsettled and covered by a wood known as the Mereholt ('Wood by a Lake') and watered by a stream later called the Dalimund or Dalymond. A defensive ditch is dug along the northern boundary of Northwic (archaeological evidence for this found in the Botolph Street area in the 1970s and again in 2010), but the enemy, when he comes, sails up the river from the east when the army of Danish king, Sweyn Forkbeard, sacks and burns the entire burh (borough) of Northwic in 1004. Four churches may have been established, destroyed and rebuilt in this northern area during this period: St Botolph (in the Anglia Square area, now lost), St Martin-at-Oak and St Mary Coslany (both still in existence) and St Olaf, also known as St Olaves or 'Tooleys' (in the Pitt Street area, also lost). No evidence yet found for a church at this period in the area now occupied by the mainly 15th-century church of St Augustine. (St Augustine’s isn’t one of them ), though there were certainly more. St Augustine’s church by brother priests Herbertus and Wlfhrac to the priory. The right to appoint priests to have the cure of souls in the parish is thereafter in the hands of the prior of an Augustinian foundation until the early 14th century when it passes to the bishop of Norwich. Confirmation of appropriation of St Augustine’s church by the prior of Llanthony Secunda, Gloucester, in the records of Norwich cathedral. The prior at this time was probably Geoffrey de Henlow or Henlawe. The prior of Llanthony Secunda Priory is recognised as the persona (parson) of St Augustine’s church. Prior Geoffrey de Banbury resigned this year and was succeeded by Prior Edward or Everard. St Augustine’s church is mentioned for the first time in Papal taxation records known as ‘The Valuation of Norwich’, and is rated at 6 shillings and 8 pence per annum (equivalent to less than £200 in today’s value), one of the lowest in Norwich, reflecting this parish’s relative poverty. John de Grey, bishop of Norwich, confirms the advowson (the right to appoint a priest to a vacant benefice) of St Augustine’s church is in the gift of Prior Bartholomew of Llanthony Secunda Priory, Gloucester. The earliest known mention of St Augustine’s Gate in a document. A farm known as the Lathes is acquired by the Great Hospital of St Giles in Bishopgate, Norwich. The farm is located somewhere just outside St Augustine's Gate. The Gildencroft, which partly lay within St Augustine's parish, is acquired by the Great Hospital. St Augustine’s Gate to his own house. Evidence, perhaps, that this area of north Norwich was beginning to be urbanised. There is by this period an established iron smelting trade in Botolph Street area. However, there are still large areas of the parish in agricultural use. At about this time Roger le Quite, a shepherd, buys a messuage (house with land and outbuildings) in the parish, and in 1292–4 John de Birston, a chaplain, is granted land with a barn in the parish. John de Blickling is appointed rector of St Augustine’s (by the Bishop of Norwich? ), the first parish priest for whom we have a name. Evidence perhaps that the parish was growing and now needed a full-time priest and possibly alos for the end of the Augustinian period of the church's history (begun c.1163) when the Prior of Llanthony Secunda Priory in Gloucerster had the right to appoint priests here. John de Brunham is appointed rector of St Augustine’s. John Ayleward is appointed rector of St Augustine’s. the Gildencroft, which had a field near the city wall known as the ‘Jousting Acre’. Richard Spynk completes the fortification of St Augustine’s Gate. John Carthowse is appointed rector of St Augustine’s. Richard Marchal, rector of St Augustine’s, conveys arable land in the parish adjoining the Great Hospital’s farm (the Lathes) to John de Brokenham, a mason. Local property owner, Thomas Spynk, a rich merchant, becomes Bailiff of Norwich. Peasants’ Revolt: parts of Norwich are sacked and burnt, including, possibly, the old Saxon/Norman church of St Augustine’s. Main body of church – nave, chancel and aisles – are completed in late Gothic period, with a mixture of Decorated and Perpendicular styles or architecture, possibly replacing remains of old Saxon/Norman church on the same site. Sir John Corpusty is appointed rector of St Augustine’s. A carter employed on the Lathes’ farm in the parish notes in his journal that Saturday 30 April was dedication day at St Augustine’s, possibly indicating re-dedication of the church after recent rebuilding. Rector Sir John Corpusty dies. Nicholas Fale is appointed rector of St Augustine’s. Thomas Gyllyng is buried in the church (its earliest known recorded interment). John Hodgys is buried in the church. John Dows (or Dowce) senior, a local worsted weaver, is buried in the church. A brass plaque at the east end of the south chancel aisle (seen by Norwich antiquarian John Kirkpatrick in early 18th century, but now lost) commemorates his interment. His will refers to this area of the church as the Chapel of Our Lady. Adam Myddylgate appointed rector of St Augustine’s. Robert Shirreve, St Augustine’s gate-keeper, is granted rights to farm land between Fybrigge (Magdalen Street Gate) and St Augustine’s Gate, and ordered to keep the ditches of the wall free of cattle and undergrowth. St Clement's over who possessed the right to tithes from the Gildencroft, which was them partly in St Augustine's, St Clement's and St Martin at Oak. The same year Robert Heylesden is appointed the new rector of St Augustine’s. Elizabeth Smith buried in the church (earliest known recorded interment of a woman in the church). Reynold Cross buried in the church. Death of Rector Robert Heylesden. His will mentions the Chapel of St John (possibly in north chancel aisle area, as Lady Chapel was on south side). William Isabelles is appointed the new rector. William Mylys, a local worsted weaver, dies and leaves £1 (= £380 today) in his will to build new nave roof in the church. A brass plaque is laid in the church to his memory in the north nave aisle. Norwich antiquarian John Kirkpatrick saw it in the early 18th century, but it is now lost. Its inscription, according to Kirkpatrick, included mention of the gift ‘to ye buylding of a new Ruff of ye body of ye Church’. John Sketur, a carpenter, leaves 4 marks (= about £850 in today’s value) in his will for the church’s new roof, ‘about to be built’. Robert Curson, a millwright, is buried in the church. His will also leaves a bequest for the new roof. William Wight appointed priest of St Augustine’s. He is also priest at Rollesby in East Norfolk. He is the last priest to be presented to the living by the Prior of Norwich cathedral. The Great Hospital of St Giles in Bishopsgate, Norwich, leases the whole of the Lathes farm to Alderman Thomas Codde. It comprises, overall, about 53 acres, including farm buildings, the Gildencroft, a pightle (a small enclosure of land like a paddock), a dove-cote and 30 acres of land outside St Augustine's Gates. St Olave's church (also known as St Olaf's and Tooley's), is demolished. It had stood on the north side of Cherry lane since at least the 12th century. St Olaf was Viking saint. £2 (= about £615 in today’s value) is spent on 'mason’s work': new ringing chamber built under the tower and ‘white glass’ placed in the windows in the church. None of St Augustine’s three known bells were cast before this date, so what became of earlier bells? The ringing frame in belfry is for five bells, but only three are known. Church goods are also itemised this year. St Botolph's church, which stood in the Botolph Street/Anglia Square area from at least the 13th century, is deconsecrated sometime before this date and finally demolished. Robert Kett’s army of rebels enter Norwich. St Augustine’s Gate and other property in the parish are set on fire or damaged during the fighting. Rector William Wight appointed a ‘Commissary’ (deputy priest) of the Bishop of Norwich. The same year William Stamp is appointed rector of St Augustine’s by the Dean and Chapter of Norwich. On 11 May Rector Stamp, a Puritan, leads a group of parishioners in an assault on St Augustine’s high altar, which they smash. He is ordered to repair the damage. Nicholas Ridley, bishop of London had only just ordered the destruction of high altars in the London diocese: but it was not national policy until November. On 14 June John White, a worsted weaver of St Augustine’s, is questioned by the mayor and aldermen of Norwich for ‘prophesying … as hot a summer as was, and as evil and busy a one as the last summer was’, presumably referring to Kett’s rebellion and Stamp’s iconoclasm. St Augustine’s churchwardens are ordered to sell off the church plate and use money raised to repair the church and churchyard, as well as to give to the poor and also to replace church’s remaining stained glass with ‘white’ (i.e. plain, uncoloured) glass. Rector William Stamp is deprived of his benefice and suspended from the clergy for having married Cicely Baxter. Under a new law imposed by Roman Catholic Queen Mary I all priests must be unmarried or if already married renounce their wives. Queen Elizabeth I succeeds her late sister Queen Mary I. Earliest known graphic representation of St Augustine’s church and parish in William Cunningham’s panoramic plan of Norwich. The church tower is shown behind some buildings, apparently on the wrong side of St Augustine’s Street. The tower is depicted as battlemented and surmounted by a cross, with two rows of windows set two-abreast, in the Norman manner. The church’s baptism, marriage and burial registers date from this year because of new Act ordering the copying of these events into parchment books. St Augustine’s silver communion cup or chalice bears this year’s date, replacing old plate sold off in 1552/3. St Augustine's plate is now housed in Norwich Cathedral's Treasury. Adam Tugges appointed rector of St Augustine’s. On 2 February, Candlemass Day in the Church Calendar (Groundhog Day in the USA) a great flood came to Norwich. St Augustine's was said to be the only city church that escaped damage, presumably because it is on higher ground than any of the other 50 or so churches that existed then ("A church for every week of the year, a pub for every day"). Norwich's City Assembly rules that the churchwardens of St Augustine’s have to have six buckets and a ladder in case of fire in church’s thatched roof (St Peter Mancroft’s churchwardens have to have 30 buckets). A Census of the Poor finds 65 families in St Augustine's parish in need of poor relief, several are immigrants (called 'Strangers') from the Low Countries. Death of Rector Tugges. John Staller (also spelled Stoller or Stallor) is appointed rector of St Augustine’s. Bishop Redman’s Visitation (tour of the Norwich Diocese by church officials) finds St Augustine’s parsonage houses ‘greatlie ruinous and redie to fall downe’. Rector Staller also holds the benefice at Drayton village and resides there. He is criticised by the bishop's commissioners for neglecting his flock. Services in St Augustine’s are mainly conducted by his curate (assistant priest), who rides over from Drayton twice every Sunday. Otherwise the parishioners are left without a priest all week. Lowestoft-born writer and contemporary of Shakespeare, Thomas Nashe, publishes a prose satire, Lenten Stuffe, which alludes to legend that the ‘Gilding Crosse’ (possibly refering to the Gildencroft) in the parish of St Saviour's in Norwich is the place where red herrings were cured (smoked to make kippers). This spelling is found in early maps too. St Augustine’s Gate, which he agrees to give to the City forever. Richard(us) Bracket is appointed rector of St Augustine’s. Thomas Pye is questioned about having built two houses on top of St Augustine’s Gate without permission of the City authorities. The houses are occupied by Nicholas Cobb and Elizabeth Coates, who agree to pay Norwich Court 4 shilling per annum ground rent (= about £19 in today’s value). Sir John Suckling leave a bequest in his will for the poor of the parish. A local rate is raised for mending St Augustine’s well (near east churchyard wall) and making it into a pump by order of the City Court. Householders in the parish are fined for putting thatch or reed roofs on their houses, a practice that had been prohibited by City ordnance as a fire risk. A parishioner is charged for allowing his wife to sleep in the church porch. Outbreak of bubonic plague in Norwich. Houses of the sick are nailed up in St Augustine’s parish, including that of John Decore. The Rector, Richard Bracket, dies (possibly of the plague?) on 29 December and his remains are interred beneath the chancel. A memorial brass plaque is placed over his tomb (still extant - the sole surviving such brass in the church - but currently not viewable as underneath 20th-century carpetting). St Augustine’s on 18 June. John Brend, from a famous Norwich bell-making family, casts a treble bell which is installed in St Augustine’s belfry. Another of the three known bells (undated) was made by William Brend. Civil war breaks out in England between forces loyal to Charles I and Parliament. St Augustine's and St Saviour's. A Parliamentary Survey notes the ruinous state of the rectory buildings in the parish. John Collinges becomes vicar of St Stephen's in Norwich and so may have given up the living at St Augustine's at this time. St Augustines Parish is struck with his date (see right - from a private collection). These tokens were issued by masters to their employees as a form of remuneration when the official coinage was either unavailable or debased. One John Cooke makes a deposition at the Norwich Diocesan consistory court that the parishioners of St Augustine's take notice that Francis Dye was a whore. Christopher Stinnett appointed rector of St Augustine’s on 30 November (the rectorship had been vacant for 18 years, but there had been a vicar, John Collinges, from 1646 to 1650). The Revd C. Stinnett is also recror of St Clement's in Norwich. Death of the rector of St Augustine's, Christoher Stinnett, resigns or retires on 6 July and dies on 9 December. The Society of Friends (Quakers) purchase an acre of the Gildencroft for use as a burial ground. The Norwich Bellman (town crier) is ordered to inform ‘the inhabitants beyond the Water that they forbear to spoil the Grass in Gildencroft by immoderate Campings and Dauncings there’. Camping was an early type of football game between two large teams. Edward Tooke casts a tenor bell for the church. A Norwich Court orders £25 (= about £2,076 today) spent on repairing the city wall between Magdalen Gates and St Augustine’s Gates. The builder’s final bill comes to £40 (= about £3,220 today). Thomas Bradford is appointed curate of St Augustine's church on 17th February but leaves 3 months later. St Augustine’s tower collapses; a Mr Nobbs, a school master and clerk at St Gregory’s, notes this in his Chronology of Norwich. Someone called "Lehum" is rector of St Augustine's in this year. On 13 May the City Marshals are ordered to apprehend ‘boys and young fellows playing in the Guyldencroft and St Augustine’s churchyard on the Lord’s Day in service and sermon time’. Mr Nobbs (see 1677) notes that the steeple of St Augustine’s church has begun to be rebuilt in July. Mr Barnard Church leave a bequest in his will for the poor of the parish. Completion of the new church tower, rebuilt in red brick. The date and a clock are added to the east face. Rector John Robinson resigns and is possibly replaced by Lynn Smear, possibly for religious reasons. This is the year of the ‘Glorious Revolution’ when Roman Catholic James II is deposed and Protestants William III of Orange and Mary II are proclaimed king and queen by Parliament. St Augustine's parish at this date, the 12th largest parish population in Norwich. A silver paten (plate for holding the bread during Holy Communion) is presented to the church by Thomas Harvey, a goldsmith, who was to become mayor of Norwich in 1708. The Quaker’s new Meeting House in the Gildencroft is completed and opens for meetings for the first time in 1699. Rector Lynn Smear resigns and Joseph Brett is appointed new rector. Public execution of Robert Watts outside his house in Botolph Street for the murder of his wife. His last-hour ‘confession’ possibly delivered to the incumbent rector, Joseph Brett (story published in a pamphlet in 1749). The murder becomes a local legend and ghost story. Rector Brett preaches a sermon in the cathedral to mark the anniversary of Queen Anne’s succession to the throne. Date of St Augustine's church’s silver flagon. Norwich historian John Kirkpatrick visits St Augustine’s and sketches the church. St Augustine’s weavers from ruin. The church's south porch and chancel roof rebuilt and the date added to porch and ceiling (now lost). The earliest dated memorial in the porch is from 1730. St Augustines' on 20 December. The Revd Thomas Ottway dies. The Revd John Brooke is appointed rector of St Augustine's. The Revd Lemman is curate during some of the Revd Brooke's long incumbency (i.e. 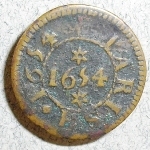 57 years - see 1790). The City Corporation leases land adjacent to the church, part of a farm known as the Lathes, to the architect Matthew Brettingham the elder. He has his gardens here, and he sets man traps in them after he is robbed of the stakes he had erected to support his espaliers (fruit trees trained onto wooden stakes). St Augustine's parish at this date, dwelling in 266 houses, an average of 4.6 persons per dwelling. Methodist preacher James Wheatley is found guilty of immorality with a series of young women and misappropriation of funds. John Wesley describes him in a letter as a 'wonderful self-deceiver and hypocrite' who had shown 'obstinante wickedness' in his relationships with women. Wheatley appeals against his conviction twice and having lost both temporarily turns from preaching to the practice of ‘physick’. He later returns to preaching under the protection of Lady Huntingdon. The architect Matthew Brettingham the elder (born 1699) dies in or close to the parish of St Augustine's and is buried in a vault beneath St Augustine's church's north chancel aisle. A memorial is later erected in above the vault. The son of a bricklayer and a freeman bricklayer himself, Brettingham worked on Holkham Hall in north Norfolk and other grand houses and civic buildings in East Anglia, London and Derbyshire. He had rented a garden in St Augustine’s (see 1751). The first Gurney Bank (one of the ancestors of Barclays Bank) opens for business in St Augustine’s parish (in the now lost Tooley’s Street off Pitt Street) on 13 May. Its Quaker directors John and Henry Gurney are sons of John Gurney, the ‘Weavers’ Friend’ (see 1720). The bank is managed by Simon Martin, another Quaker. John Hunt, possibly the son of a St Augustine’s weaver, is baptised at St Clement’s; he becomes a teacher, printer, ornithologist and artist. He is author and artist of British Ornithology (published in 3 volumes Norwich between 1815 and 1822). Gurney’s Bank relocates from Pitt Street to Redwell Plain in the parish of St Michael-at-Plea. Death of the Revd John Brooke, rector of St Augustine's for 57 years. The Revd Peter Hansell is appointed rector of St Augustine’s. St Augustine’s Gate is demolished. The Revd Charles John Smyth is appointed rector of St Augustine's. Smyth published a number of pamphlets on various subjects, mainly copies of his sermons on religious controversies such as the 'conversion' of the Jews, Roman Catholicism and Evangelicalism, but also an essay on the science of acoustics and Six Letters on Singing, from a Father to his Son (published 1817), which included the following piece of advice: ‘When you are singing, stand erect; hold your head high; do not tuck your chin into your cravat’. On 4 February Miss Elizabeth Gurney (who later become Mrs Elizabeth Fry, the prisoner reformer), hears William Savery, a Quaker preacher from Philadelphia, speak at the Friends Meeting House in Goat lane in the morning and at the Gildencroft Meeting House later in the day. In her memoirs she marked the impression made by Savery's words as the true beginning of her religious life. St Augustine's parish at 17 Gildencroft, Norwich. Norwich’s Jewish community lease a plot of land in the Gildencroft for use as a cemetery. St Augustine's church on 24 May. Date of St Augustine's church’s silver strainer spoon. St Augustine's church on 14 October. Mr Samuel Chapman grants the proceeds and rents derived from a deed to a property in Hellesdon (15 acres and cottage) for charitable purposes in the parish. Henry Lewin is appointed curate of St Augustine's church on 18 June. St Augustine's church on 8 June. Unemployed weavers attack looms at William Springhall’s house in St Augustine’s parish during the 'Captain Swing' disturbances: a pistol is discharged wounding Springhall. One of the ringleaders, Richard Nockolds, is later hanged for rick-burning. St Augustine’s District School established on land outside old gate area by William Geary. Mr Edward Manning makes a gift in perpetuity of an annual dole of blankets for the benefit of the poor of the parish. A census of religious worship for Norfolk records attendance at St Augustine's church on one Sunday in March as 100 at the morning service plus 30 Sunday school scholars, and 127 at the afternoon service plus 53 Sunday school scholars. The average number attending in the afternoon is said to be about 200. Figures provided by the rector, the Revd Rackham. The Norwich-born poet, dramatist and novelist Amelia Opie (born 1769), known in her youth as ‘the belle of Norwich’, dies and is buried in the Gildencroft Quaker burial ground. Thomas Clabburn, a local silk manufacturer, dies and a memorial tablet is erected in the nave of St Augustine's church by 600 of his weavers. The vestry is moved to under the church tower. St Augustine's Street encroaches on the churchyard. Churchwarden William Thomas Gilbert is briefly imprisoned in Norwich Gaol by the Consistory Court of the Archdeacon of Norwich for refusing his order to mark out the original church boundary with stone markers after road widening had encroached on the churchyard. The Revd William Alexander Elder (b.1823) is appointed rector of St Augustine's. Prior to becoming rector he had worked as a missionary for about 14 years, first in Newfoundland and then in Natal. At this date the old clock in the tower is declared to be derelict and the church fabric is found to be genearally in a bad state of repair both inside and out. The Revd Elder institutes a Church Restoration Fund. In November a great flood inundates low-lying areas of Norwich, including Pitt Street, St Martin's Lane, St Mary's Plain and Jenkin's Lane. For a while, Sussex Street and the Gildencroft are the only streets passable on foot. Restoration work on St Augustine's church is undertaken by the diocesan surveyor of ecclesiastical dilapidations, Richard Malikwaine Phipson (died 1885). His plans to re-seat the church with pitch pine pews, build a new bell ringing floor under the tower arch and renew the chancel roof but funds run out. One Thomas Lord, a self-appointed assessor of Norwich's various places of worship, visits St Augustine's church one Sunday. He describes the form of worship here as 'Low', with music supplied by 'unsurplised' boys and a harmonium. The Revd Elder's sermon he found 'thoroughly evangelical and in earnest'. The Gildencroft Recreation Ground is purchased by the City Corporation for £2,700 and opened by the mayor, it is one of the first public open spaces in Norwich. St Augustine's churchyard is converted to a public garden and resting-place by the City Corporation. At the ceremony the mayor opens the garden while a band plays. An additional part of the Gildencroft is also opened to the public by the mayor as a place of recreation. April - Workmen digging drains in Eade Road off Aylsham Road discover what turns out to be an early, pre-Christian Saxon cemetery, with cremation urns, an ornate bronze brooch, tweezers and other grave goods. Restoration work on St Augustine's church, left off in the early 1880s through lack of funds, is restarted. New stained glass is installed in the central east window (depicting Christ Teaching – the gift of Mr R. Foulsham Ladell) plus a new reredos behind the altar (Mr F. M. Hotblack’s gift). Cement rendering is removed from outer walls of the church and restoration work is done on the south porch and new drains are dug. A stained glass window is installed in the north chancel aisle of St Augustine's church depicting St Augustine of Canterbury and St Felix of Dunwich, regarded as the first Christian evangelisers of England and East Anglia, respectively. St Peter Hungate's church in Norwich, where worship had ceased in 1902 because the building had become derelict, is re-erected in St Augustine’s church. Its position partly obscures the new stained glass window in the north chancel aisle (see 1902). Outbreak of First World War. Many men from the parish enlist or are mobilised from the Reserves. St Augustine's Parochial Church Council buys plot of land adjacent to the churchyard from Norwich Grammar School on which to build a new parish hall ands Sunday school. Construction begins under supervision of Churchwarden, Harry Greengrass's building firm. Minns Buildings (three labourers' cottages) on the site demolished. The Great War continues to take its toll of local men. Private John Henry Abigail of the 8th Battalion Norfolk Regiment, is shot for desertion in France, the only member of the regiment to be so executed during the First World War (see 2006). His parents lived in Distillery Yard off Oak Street in the parish of St Mary Coslany, which is united with St Augustine’s at this time. Despite the perceived dishonour of his death his name is later included in the combined parishes’ Great War Roll of Honour. Oak screen roll of honour, paid for by St Augustine’s and St Mary Coslany’s ‘working-class parishioners’, is erected in the church to the memory of 79 men from the two parishes who died on active service or of their wounds or illness shortly after discharge in the period 1914 to 1919. A new electric clock, built by Gents of Norwich, is installed in St Augustine's church tower. The Revd Frederick Andrew Hannam is appointed rector of St Augustine's. The Revd Christopher Harold Flack is appointed rector of St Augustine's. At the end of April many buildings in the parish and nearby areas are damaged or destroyed by enemy bombing during the so-called ‘Baedeker Blitz’ on Norwich, including the 17th-century Friends' (Quaker) Meeting House in the Gildencroft, St Augustine’s School and St Mary’s Baptist Chapel in St Mary's Plain. St Augustine’s 15th-century church escapes undamaged. No rector is appointed during this period. The Revd Percy Smith is appointed rector of St Augustine's. 27 February. A service of thanksgiving and dedication is held in St Augustine's church to commorate the restoration of the church. The Revd Noel Henderson is appointed rector of St Augustine's. The Gildencroft’s row of 14 Tudor cottages is renovated and converted to six houses, but three are demolished by the Council near the Pitt Street end in order to widen the road. The road is not widened! The Revd MacDonald Steele is appointed rector (the last rector of St Augustine’s; the end of a 650-year-old tradition). Dedication of Processional Cross, Easter Day 6 April, by the Revd MacDonald Steele, presented by William Albert Barker in memory of his wife Eva. Restoration work on the organ is undertaken by the firm of Hill, Norman and Beard, who install three stops taken from the derelict Bevington organ in the nearby church of St Mary's Coslany. The Revd Idris Jones is appointed priest-in-charge (vicar) of St Augustine's. Archaeological excavations in Botolph Street uncover evidence of 11th-century domestic occupation. Further archaeological excavations in Botolph Street uncover a late Saxon ditch north of the street, possibly part of the burh's defenses against Danish incursions in the 10th century. The Revd Jack McGinley is appointed priest-in-charge (vicar) of St Augustine's. The Revd Roy Skelhorn is appointed priest-in-charge (vicar) of St Augustine's. The Revd Laurence Hubbard is appointed priest-in-charge (vicar) of St Augustine's. The Revd Anthony P. Ward is appointed priest-in-charge (vicar) of St Augustine's. St Augustine’s church's three 17th-century bells are removed when there is concern about the structural stability of the tower. They are donated to All Saints’ church, Carleton Rode, in south Norfolk, where they make up a six-bell peal. The care and ownership of St Augustine’s church building is transferred from the Church Commissioners to the Churches Conservation Trust. The Revd Nicholas Vesey is appointed vicar of the parishes of St Augustine’s and St Luke’s in New Catton. St Augustine's church following completion of conservation work undertaken on behalf of the Churches Conservation Trust. Later in the year, City Works begins work onthe renovation of the churchyard, mending paths, walls, etc. On 16 October a meeting is held in St Augustine's Hall. It leads to the establishment of St Augustine’s Community Together Residents’ Association (SACTRA) in 2004, a new campaigning community action group dedicated to tackling anti-social behaviour and social and environmental issues in the St Augustine’s area. In August the first St Augustine’s summer garden party is held. A brick column carved by artist Gary Breeze is placed at the new Pitt Street entrance to the Gildencroft Park to celebrate the historical associations of the Gildencroft with jousting and other sports. In August the Lord Mayor of Norwich, Cllr Mike Banham, opens the second annual St Augustine’s summer Garden Party. 13 August - Children’s Carnival Day and St Augustine’s History exhibition opens. In November, Private John Henry Abigail of the 8th Battalion Norfolk Regiment, who was shot for desertion in France in September 1917 and is listed on the St Augustine's Great War Roll of Honour, receives a pardon from H.M.Government together with 303 other executed British servicemen of the First World War. 1 June - Launch of the St Augustine’s Community Together Residents' Association (SACTRA) website. St Augustine's churchyard and hall. 15 October - St Augustine's Community Together Residents' Association celebrates the 5th anniversary of its first meeting. St Augustine's one-way, gyratory road system is constructed. A brick column carved by artist Charlotte Howarth is placed at the junction of Pitt Street and St Augustine's Street, celebrating the area's association with the textile trade. The Spread Eagle pub in Sussex Street finally closes after around 180 years trading and is converted into a private residential dwelling. June: "The STAGE" (St Augustine's Gateway Enterprise), a new community resource, is opened at 52 St Augustine's Street. A former shoe factory, Clarkes Shoes, latterly used as an office by Norwich Union (AVIVA), is demolished in Sussex Street and work begins on building 19 new houses on the site to be known as Quintain Mews (completed in 2013). January: St Augustine's Community Together Residents' Association (ACT) celebrated its 10th birthday with a meal at St Augustine's Hall. October: The vicar of St Augustine's and St Luke's, the Rev'd Nicholas Ivo Vesey, celebrates his last mass in the parish prior to departing to a new ministry role in Aspen, Colorado, USA. January: new zebra crossing installed on St Augustine's Street. 13 February. Dinner at St Augustine's Memorial Hall to celebrate the centenary of the Hall's founding, attended by His Worship, The Sheriff of Norwich, William Armstrong OBE. 27 June: new vicar of St Augustine's & St Luke's is instituted: the Rev'd David Austin. 12 July. New Priest-in-charge of St Augustine's and St Luke's, the Rev'd Sarah Quantrill, is installed.